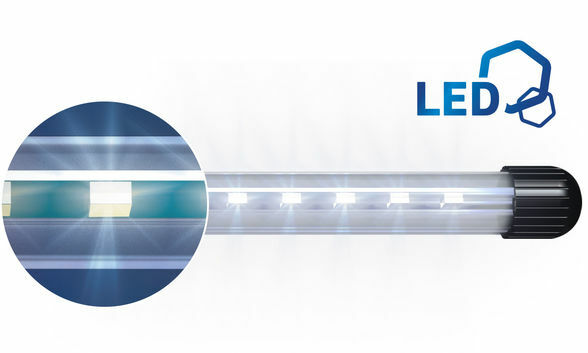 The cover of the Primo 60 LED is equipped with the NovoLux 60 LED light and is particularly energy-efficient with 8 Watts. 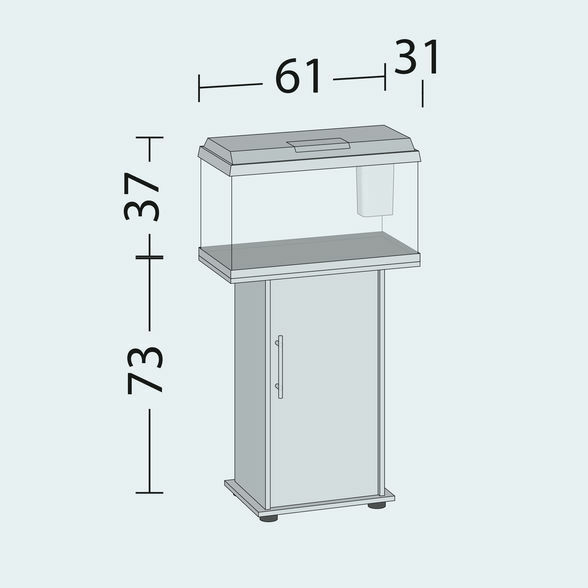 In order to increase the satisfaction of your individual requirements, up to three NovoLux LED lighting can be placed in the cover, by upgrading. 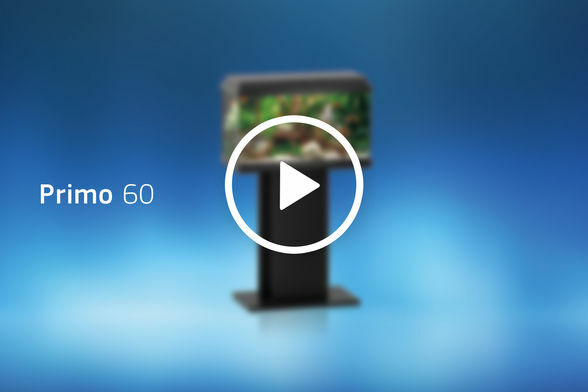 The Primo 60 LED is equipped with a high-performance Bioflow One filter. 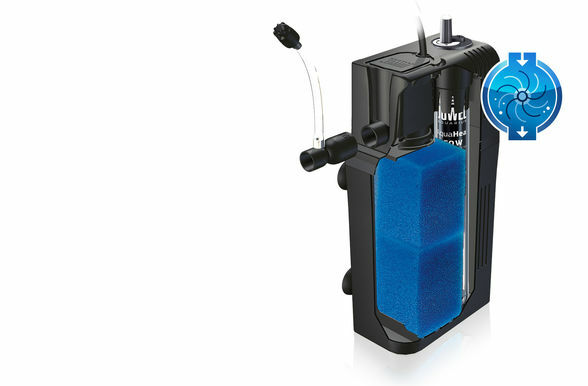 This inside filter combines efficiency with safety and forms the centrepiece of the Primo 60 LED. 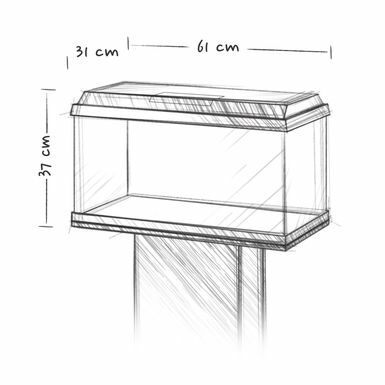 It works on the principle that “The water should stay in the aquarium!” and therefore represents the safest way of filtering an aquarium. 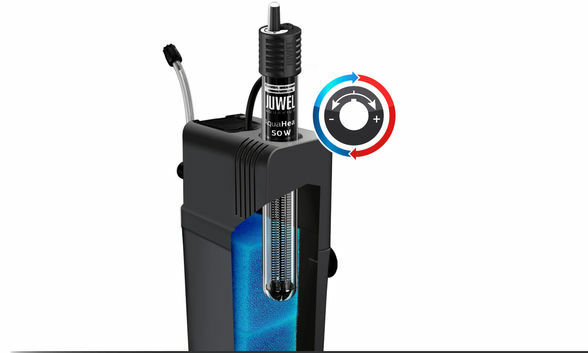 The Bioflow One is equipped with high-performance filter media and a quick, powerful and efficient Eccoflow 300 circulating pump with only 4.4 Watts. 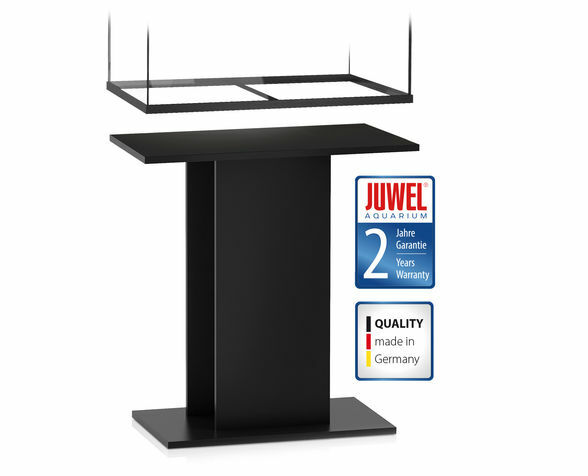 The JUWEL AquaHeat 50 Watt adjustable heater ensures the correct temperature in the Primo 60 LED. 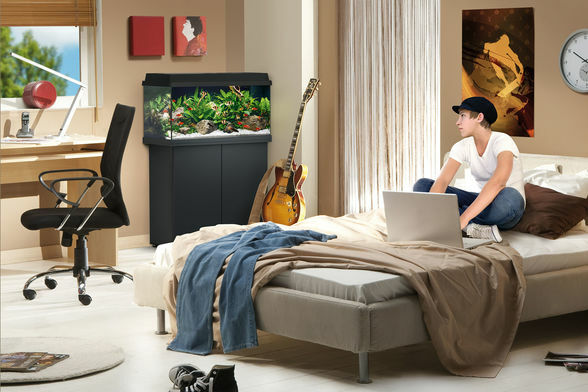 The heater remains invisible in the aquarium, as it is integrated into the filter housing. The adjustable heater is also TÜV/GS certified.